Mr. Rehns primarily represents institutional investors – predominantly Taft-Hartley pension and benefit funds – that have been damaged as the result of securities fraud or corporate malfeasance. Additionally, Mr. Rehns also represents investors and consumers who had been damaged by unfair business practices. Throughout his career, Mr. Rehns has specialized in handling highly complex multi-party litigation in federal and state courts throughout the United States. His concentration is on large complex cases and shareholder actions, in which he focuses on all aspects of litigation ranging from case development through settlement and trial. Notably, Mr. Rehns specializes in new case investigation, complex issue briefing and overseeing all aspects of large-scale discovery, including electronic discovery protocols and review, depositions and expert discovery. Prior to joining HRSC, Mr. Rehns was an Associate in Cohen Milstein’s Securities Litigation & Investor Protection Practice Group. Mr. Rehns played an important role in litigating many of the most significant mortgage-backed securities (MBS) class-action lawsuits to emerge from the 2008 financial crisis, and was part of the team named an Elite Trial Lawyer Firm by the National Law Journal (in the MBS litigation category) in 2014 and 2015. Mr. Rehns has be recognized by his peers and has been named in New York Super Lawyers. Maine State Retirement System v. Countrywide Financial Corporation (C.D. Cal): $500 million settlement with Bank of America, as successor to Countrywide Financial Corp. In re Bear Stearns Mortgage Pass-Through Certificates Litigation (SDNY): $505 million settlement with JPMorgan Chase as successor to Bear Stearns & Co., Inc.
New Jersey Carpenters Health Fund v. Residential Capital LLC (“RALI”) (SDNY): $335 million settlement with Ally Securities as successor to Residential Capital LLC, as well as Underwriters Citigroup Global Capital Markets, Inc., Goldman Sachs & Co. and UBS Securities LLC. New Jersey Carpenters Vacation Fund v. Royal Bank of Scotland plc (“Harborview”) (SDNY): $275 million settlement with RBS Securities LLC and related entities. In re Washington Mutual MBS Litigation (W.D. Wash): $26 million settlement in this complex class action lawsuit alleging violations of the Securities Act by Washington Mutual entities in connection with their issuance of residential MBS. In re Dynex Capital, Inc. Securities Litigation (SDNY): $7.5 million settlement where Defendants were alleged to have committed securities fraud in connection with the sale of asset-backed securities to the public. In addition to the above, Mr. Rehns has served a central role on successful litigation teams in various matters including: In re Lehman Brothers MBS Litigation, New Jersey Carpenters Health Fund v. DLJ Capital, Inc., In re American Greetings Shareholder Litigation, HCL Partners Limited Partnership v. Leap Wireless International, Inc., In re Ebix Securities Litigation, Ladman Partners v. Globalstar, Inc., In re SPX Corp. Securities Litigation and In re BP plc Securities Litigation. Mr. Rehns is admitted to the Bars of the state of New York, the United States District Courts for the District of New Jersey, and the Eastern and Southern Districts of New York, and the United States Court of Appeals for the First, Second, Third and Ninth Circuits. Mr. Rehns is a member of the New York Bar Association, the New York County Lawyers’ Association, the American Bar Association and the Federal Bar Council. 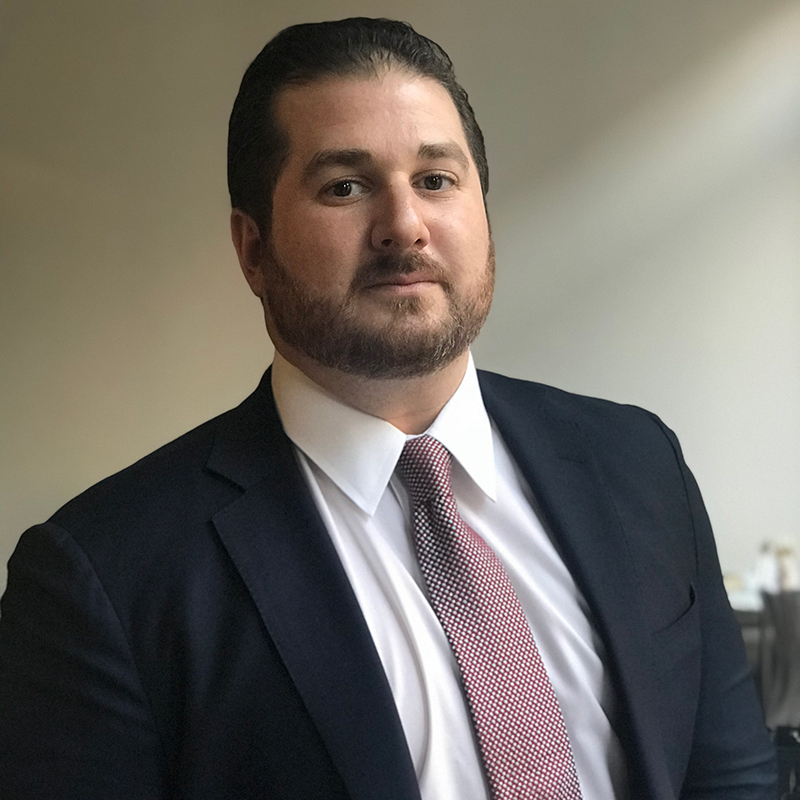 Mr. Rehns began his career at Schoengold Sporn Laitman & Lometti, P.C., where he practiced in the areas of securities fraud and consumer class action litigation. Mr. Rehns attended Bucknell University, graduating with a double major in Economics and Finance, and minors in Legal Studies and Philosophy. He earned his J.D. at New York Law School, where he was a Dean’s List recipient. Mr. Rehns was and continues to be an active member in the Sigma Alpha Epsilon Fraternity Organization and Big Brothers Big Sisters of America. Mr. Rehns also competed in Moot Court and co-authored the first edition of West’s Nutshell on Corporate Financial Law.